Our client, a global leader in Video Management and Licensing solutions offers storage, access, and licensing for enterprise-scale video libraries. Its technology platform and services enable media owners to generate new value from their content while managing cost and complexity. Through its licensing platform and global sales force, the company licenses sports, news, and creative footage to producers in advertising, entertainment, publishing, and emerging media. 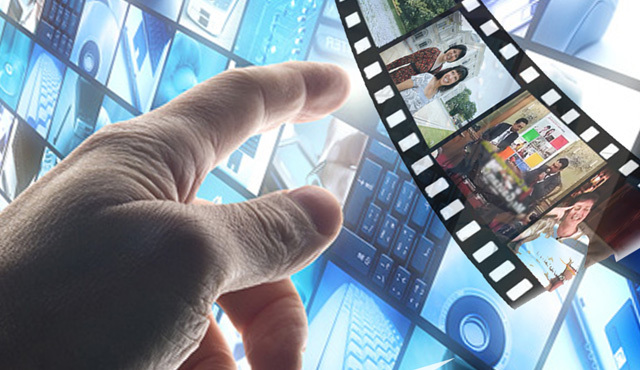 Our client represents the three core areas of the video business: storage, access and licensing. Our client’s video licensing application has been deployed on various customer sites. This application provides one of the world’s deepest libraries of video content along with expert project management, rights, and clearances services. Our client works with global media companies, including BBC Motion Gallery, Paramount Pictures, Sony Pictures Entertainment, National Geographic, The New York Times, and the NCAA. Our client’s platform provides a range of video storage, access and licensing services for large-scale sports, news, and entertainment libraries. They help video rights owners to monetize their archives through its footage licensing storefront with the company's Library Manager Product. Clients can search, preview, and deliver content in most major file formats through a web browser. Our client required a video licensing application for their new customers as well as managing licensing applications of existing customers as a part of the growth strategy. For this, client wanted to engage a product engineering partner who could be quick to understand the product details and recommend the right technology platform to meet the objectives. Our client was seeking to work with partners who had experience in full spectrum of product development, maintenance, and iterative execution model for roll-outs. The client was looking for a robust system and more importantly a very scalable system. The short time to market, coupled with the cost effectiveness pre-condition necessitated the need for perfect planning plus very good project management and implementation approach. 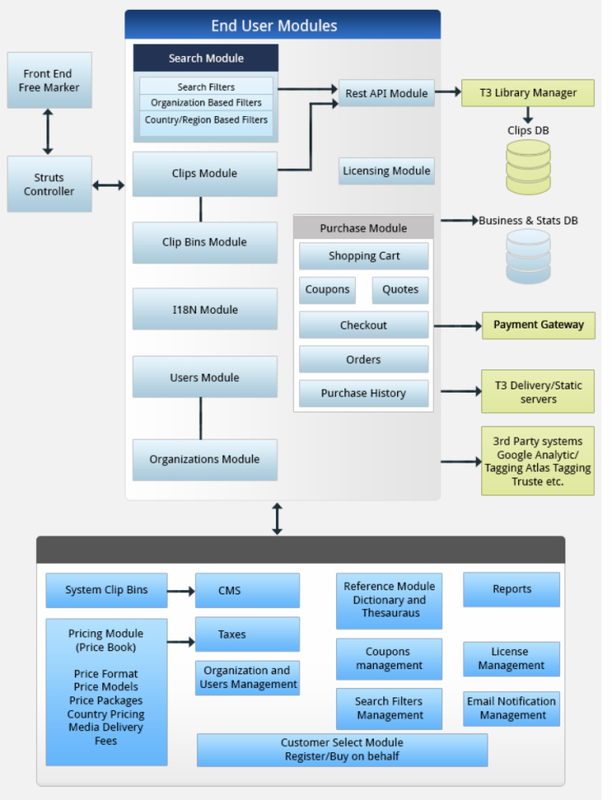 Xoriant’s track record of successfully delivering high class software applications with multiple technologies and multiple domains, in addition to the combination of customer intimacy and cost-effectiveness offered by Xoriant’s global delivery model influenced client to outsource the project to Xoriant. One of the key objectives of the engagement was to manage around eight customer sites which provide Media & Footage Content licensing. These sites are built using client’s video management platform which has features like integrated video rights & eCommerce. Xoriant team worked closely with client to understand the requirements and created an engagement roadmap. The engagement roadmap was planned with due consideration to engagement objectives and some key decisions were taken early in the engagement cycle. Xoriant was involved in complete Software Development Lifecycle process in building the application, following SCRUM as Agile execution methodology to meet demands of evolving requirements without much compromise on time to market goals. Xoriant team initiated the work and came up with a solution blueprint. The team leveraged our multi-technology and multi-platform expertise to deliver an innovative solution to our client that offered seamless user experience for customers coming through the state-of-the-art web portal. Working closely with our client, Xoriant’s product architecture team delivered a requirement document and product architecture blueprint. Reviewing the client requirements, available technologies, potential growth plans, and budgets, Xoriant team then created a modular design/ development framework. As it was diffcult for the client to go to different vendors/contractors for fixing the bugs and enhancements on various technologies like, flex and ruby on rails, Xoriant team proactively added these technologies to their skills set. Xoriant team worked on ramping up their skills on Ruby/Rails, Flex& Maven to support flex projects & re-architected client’s projects in Rails front-end and Java/Spring backend. Also the team created a sample application using Rails. Xoriant team is currently managing the enhancements and bug fixes for multiple customer sites of the client developed in Java/J2EE, Flex and Rails. Xoriant maintained Daily Status Reports & Weekly Status Reports to keep both, client and Xoriant teams in sync with the tasks and updates which is highly appreciated by the client.